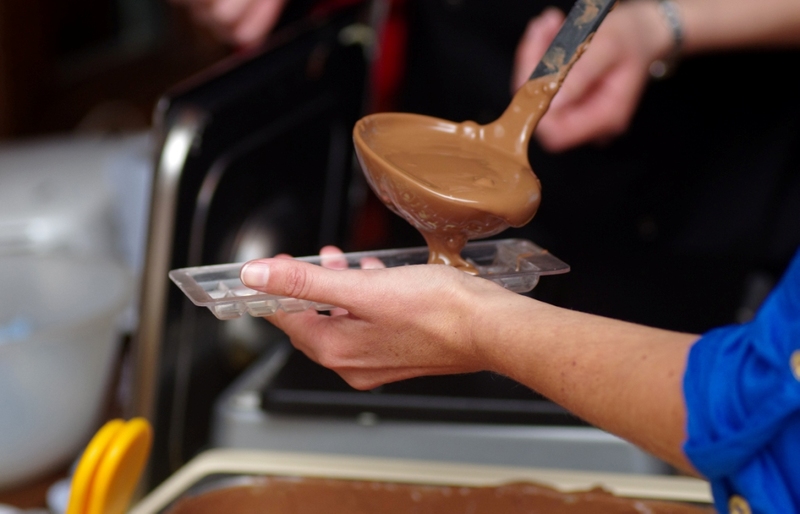 The Chocolate Cellar offers a range of workshops. The workshops are taught by one of our experienced chocolatiers. Our passion for chocolate is totally infectious and all who have attended have come away inspired and enthralled by the art of chocolate making. Sessions are run in Liverpool City Centre and at Claremont Kitchens on the Wirral. Bookings can also be made via the eventbrite links shown next to each date. The three hour chocolate workshop begins with information on the history of chocolate and then the pleasurable task tasting a few chocolates. You will then think about matching flavours and create your very own unique truffles under the guidance of our award winning chocolatier. All attendees then take home their creations of fine genuine Belgian chocolates all wrapped, designed and made by you. The price includes a hot chocolate drink.